The other week, Pinoy Prepper and I were discussing the overuse of the word ‘disaster’ within our circles. We concluded that the reasons range from an unfamiliarity with definitions to a purposeful attempt to ‘upgrade’ the event. It turns out that when a situation is classed as a disaster, more funding is made available to local government and relief organizations. For those who are unaware, the security, risk and emergency management professions have three main classifications for events, each with specific meanings and escalating levels of impact: emergency, disaster and catastrophe. I used these terms interchangeably before getting involved in this field but soon found out that they have different implications. Pinoy Prepper commented that the emphasis on disasters and disaster preparedness implies a more reactive mindset. It’s far better, he said, to focus on emergency preparedness. When you look back and review the definitions, you’ll find that this makes a great deal of sense. While emergencies are sometimes unavoidable, being prepared can prevent them from turning into full-blown disasters. Furthermore, even during what would be called a disaster for your neighbors or community, you may merely have to deal with an emergency. I’ll give you an example to clarify this. Let’s say that a huge earthquake strikes Manila. It devastates the city, knocking out utilities and paralyzing every-day services. For those who had been diligent in their preparations, the event may be limited to an emergency situation that can be managed until things return to normal; perhaps the have supplies to last or the means to evacuate to another location. Furthermore, if enough people in Manila had prepared, then a potential disaster can be averted by preventing the situation from escalating. The situation becomes manageable for the city as a whole because fewer people need assistance. Thus, the best way to avoid disasters is to prepare for emergencies. Wow, very useful post, Anthony. Thanks. I agree with your conclusion, “the best way to avoid disasters is to prepare for emergencies.” I like that. The best defense against misfortune is preparedness! 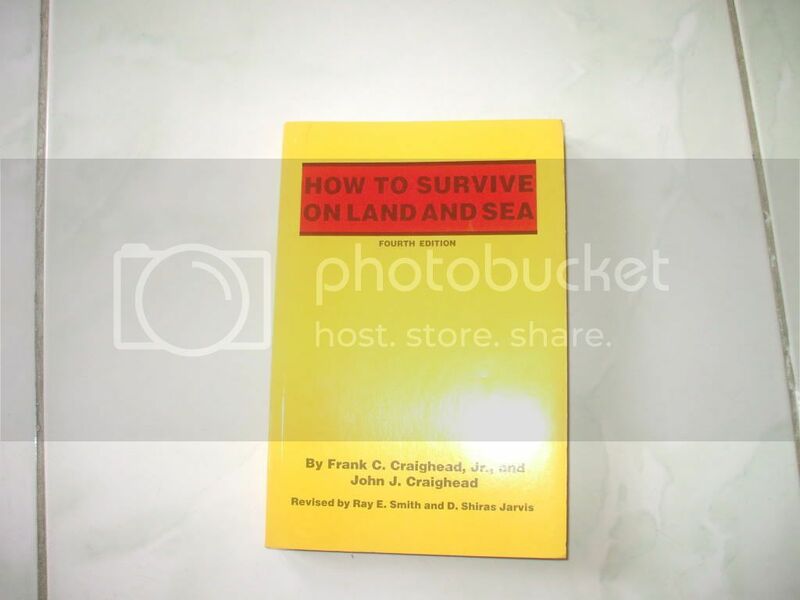 How To Survive On Land and Sea by the Craigheads. At 200pesos, cheap life insurance that is still useable even if the power goes out.